Byron and his wife are in Oahu now, but I was there a little over two months ago for the Honolulu Century Ride, an event that attracts thousands of riders and their families to island. 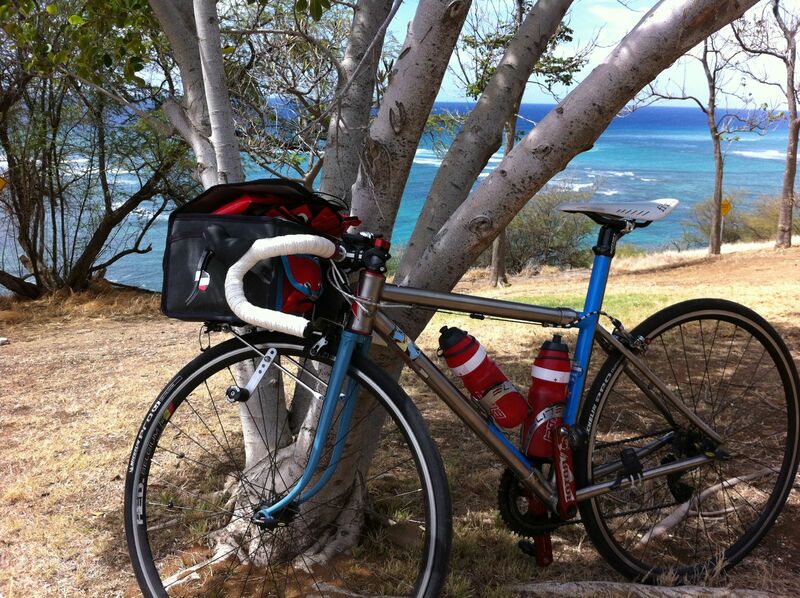 The ride goes along the east side of Oahu, which generally seems like the nicer portion for riding. My Oahu trip was the deadline for adding another mode to my Davidson titanium S&S. I designed the bike so that by switching out bars, wheels, and other components, the bike could have other “modes”. By having each handlebar setup use the S&S cable splitters and then cutting the cables very precisely to match lengths, I can simply swap out handlebars and reconnect the brakes/derailleurs…..switching from one mode to another is 15minutes at most. So the bike has a road/crit mode and a full TT mode (base bar/aero extensions with barend shifters). The bike has 130mm spacing with track tips and a derailleur hanger, so I can run the bike as a fixed gear with bar and front brake, or even fully track legal with out brakes (the bottom bracket is a bit high for pedal clearance on the banking). But for Oahu, I wanted to have a “randonneur mode” with a long rake steel fork and big front bag. 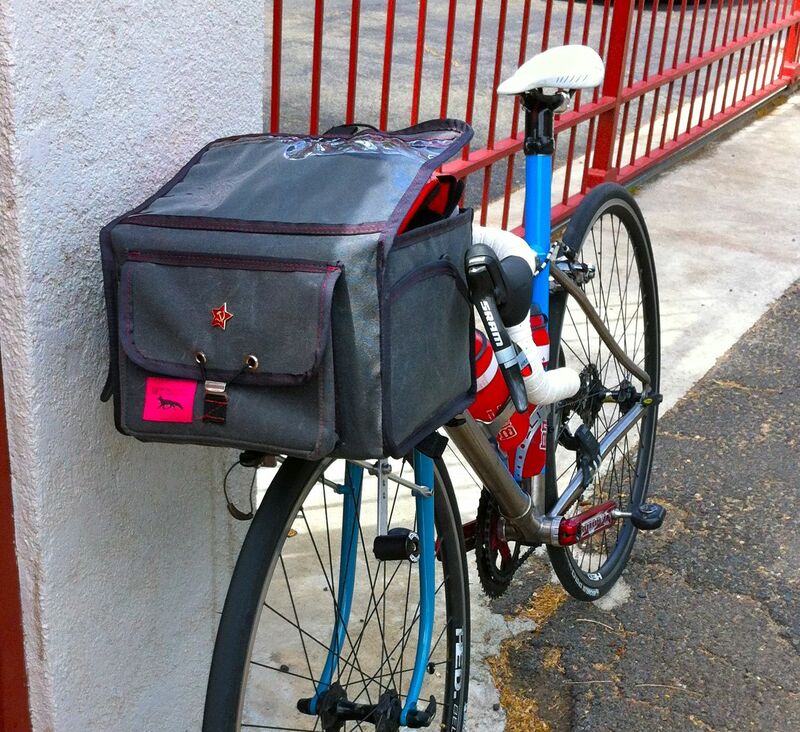 The frameshop built my fork to spec, I got a Nitto rack, and I had the bag made by Swift Industries. The rack setup required a lot of tinkering to get just right, and the size of the bag meant that I also needed to get some vintage French road bars. But the result was great in Oahu, and I appreciate the rando mode even more now that I’m stuck in the cold, wet gloom of Seattle’s winter. 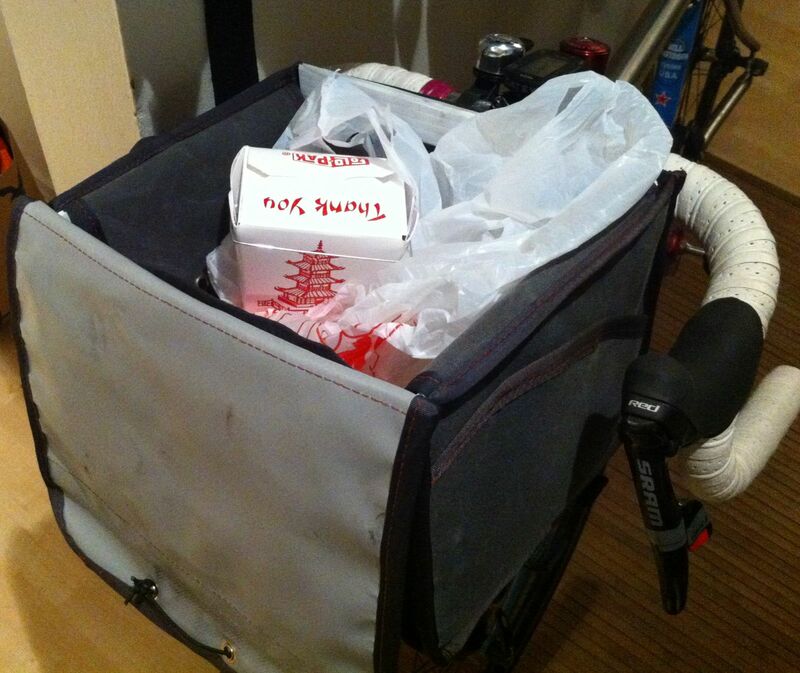 I’ll detail the whole design process of the fork, bar, bag, and rack later.